(Reuters) - Italian Prime Minister Giuseppe Conte will visit Baghdad on Wednesday for a two-day official visit. A source familiar with the interview for / Mawazine News / "The Italian Prime Minister will meet during his visit to the three presidencies and some officials in Baghdad." The President of the Republic, Barham Salih, stressed that Iraq is keen to establish effective relations with Italy and the European Union. On Wednesday, the president of the republic met with Italian Prime Minister Giuseppe Conte and his delegation, who arrived in Baghdad on Wednesday morning. President Saleh said during the meeting that "the development and progress of relations between the two countries contribute to enhancing the horizons of joint cooperation in the interest of the two friendly peoples," pointing out that Iraq is keen to establish effective relations and expanded with Italy and the European Union in general. "Iraq has taken a course of openness in its Arab, regional and international relations after it has achieved victory over terrorism," he said. The President of Italy praised Italy's participation in the international coalition against terrorism and its support for the Iraqi security forces and its contribution to many service projects. For his part, the Italian Prime Minister reiterated his country's support for efforts to fight terrorism and its serious desire to enhance bilateral cooperation. He expressed his happiness to visit Iraq and praised the stability situation in the country. During the meeting, they discussed bilateral relations and means of developing them in the economic, trade and investment fields and the necessity of activating them between the two countries, as well as discussing the latest developments and events on the regional and international arenas. The President also held a luncheon in honor of the Italian Prime Minister, attended by Prime Minister Adel Abdul Mahdi and the President of the Federal Court Judge Medhat Al Mahmoud. Prime Minister Adel Abdul Mahdi and his Italian counterpart Prof. Giuseppe Conti held a joint session of talks in Baghdad today, during which they discussed the Iraqi-Italian relations, ways of increasing cooperation in all fields, activating the Iraqi-Italian committee, and discussing efforts to support security and stability in the region, At the end of the conference, he presented a press briefing. "We welcome the Italian Prime Minister and his accompanying delegation to Iraq and to achieve positive results for the benefit of the two countries and the two friendly peoples," he said. "Italy is an advanced industrial country and we want to benefit from the Italian experience in the industrial and economic fields. The Italian companies known for their international reputation are working in Iraq and welcome and we look forward to increasing their presence and contribution to the reconstruction of Iraq." The two countries have great opportunities for joint cooperation in economic, trade, And others. " 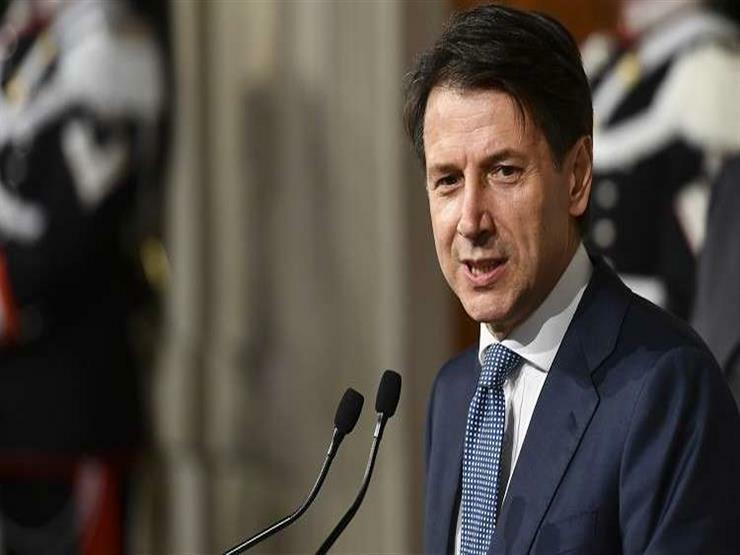 Italian Prime Minister Professor Giuseppe Conte expressed his happiness at his first visit to Iraq and thanked the Iraqi government and the Prime Minister for their welcome and welcome. "Italy has always been and will remain with Iraq and its people and we will be with you in the stage of stability and reconstruction. The difficult circumstances facing the Iraqi people have become behind our backs with the courage and sacrifice of the Iraqis and the unity of all its sects. Economic, health and education fields, working with UNESCO and the World Bank to explore and protect antiquities, as well as training programs for Iraqi security forces. " A formal reception ceremony was held at the government palace in Baghdad this morning. Speaker of the House of Representatives Mohamed Halboussi received on Wednesday Italian Prime Minister Giuseppe Conte. A statement from the Halaboussi office said that "the Speaker of the House of Representatives received today at his office the Italian Prime Minister Giuseppe Conte and his accompanying delegation"
Italian Prime Minister Giuseppe Conte arrived in Baghdad earlier today to discuss Iraqi-Italian relations and ways to increase cooperation in all fields and activate the Iraqi-Italian committee. (Reuters) - Italian Prime Minister Giuseppe Conte described Iraq's efforts to defeat a "fundamental" organization. "We also have to recognize that a preacher is still a serious threat that requires careful attention," he said during a joint briefing with his Iraqi counterpart, Adel Abdul Mahdi. "Italy is making its contribution in this regard," said Conti, who is visiting Iraq on Wednesday before visiting Lebanon on Thursday. "We are trying to assist in training the army and police forces" in Iraq. The Iraqi prime minister said that Abdul-Mahdi and Conti held a joint session of talks in Baghdad today, "during which they discussed the Iraqi-Italian relations and ways to increase cooperation in all fields and activating the Iraqi-Italian committee to participate, as well as discuss efforts to support security and stability in the region." The statement quoted the Prime Minister of Iraq as Abdul-Mahdi, referring to "Italy is an advanced industrial country and we want to benefit from the Italian experience in the field of industrial and economic, and that the Italian companies known for their global reputation working in Iraq and welcome and look forward to increase its presence and contribution to the reconstruction of Iraq, Great for joint cooperation in economic, trade, agricultural, cultural and other aspects. " "Italy has been and will always be with Iraq and its people and we will be with you in the stage of stability and reconstruction. The difficult circumstances facing the Iraqi people have become behind our backs with the courage and sacrifice of the Iraqis and the solidarity of all its sects. Iraq in the fields of economic, health and education, working with UNESCO and the World Bank for prospecting and protection of monuments, as well as training programs for Iraqi security forces.